ShareIt is a sharing and backup application between multiplatform devices. Available for Android IOS Windows MAC WinPhone. 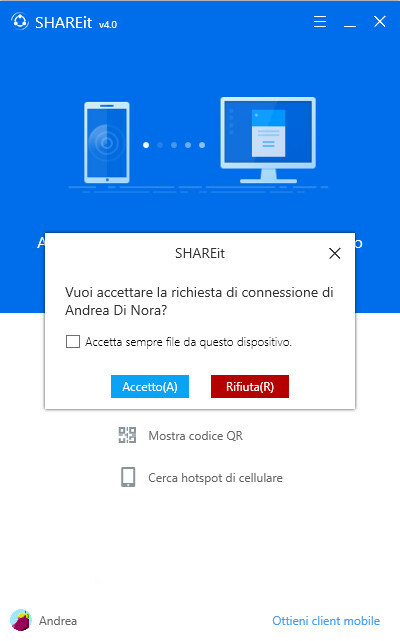 Welcome back, today’s article concerns ShareIt, an application that should not be missed in any of our devices. Yes, you understand well, I said “in any” of our devices. 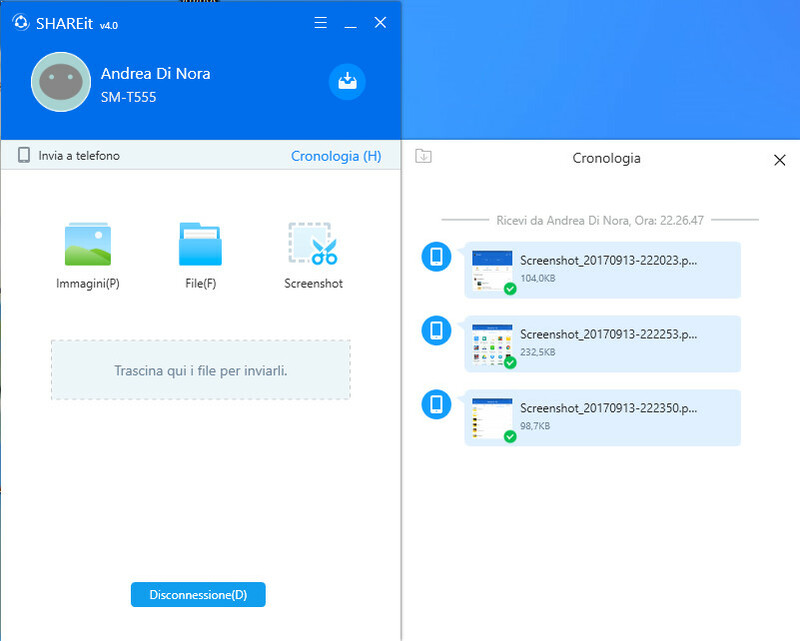 ShareIt fact is an application for sharing and backing up files, applications, contacts, and more, and his strength, consists in the possibility of using these capabilities between devices with different systems and technologies. You can post your files from an Android tablet to your home PC with Windows, or if you want, you can send the photos on your smartphone to your friends who own an iPhone and you do not even consume kb of your traffic to do it. Before i know ShareIt i must say it was the best file sharing app between my tablet and PC. Before you know ShareIt I must say it was the best file sharing app between my tablet and PC. But i must say that after having installed and tested ShareIt, it jumped immediately at the top of my list of sharing application. Just above i mentioned the possibility of not having to use your data traffic for file transfer by ShareIt. This application has in fact another advantage not insignificant. You can share and transfer your files without having to use your data connection and the mega of your subscription. All at high speed, since the connection is not done using the slow bluetooth. ShareIt, in the moment in which arises in reception, creates a virtual wi-fi hotspot to which other devices can connect. 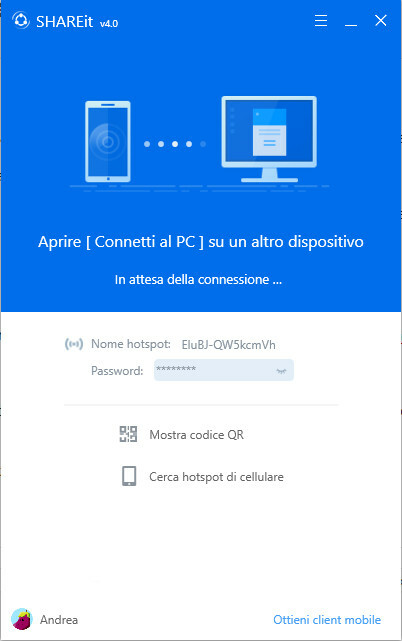 Upon connection, you will make use of this hotspot for the connection and the data will be sent without passing by an external wi-fi or router using the connection data of the device. In this way we can send all the files and data we want completely for free. ShareIt is a multi-platform application, so on the page that I’ve linked to you, you will find application downloads for different platforms. To install the application, for mobile users, simply start the download from your store. Windows and MAC users will have to download the installation file, run it, and follow the instructions on the video. To better understand the operation of the application, I will show you how to transfer files from your Android device to a PC with Windows. The first time that you run, you will be prompted for some configuration data and you will be shown a small tutorial that will ask you to enable the application for reception. The next time, however, the application will automatically start receiving. Now your PC is ready to receive data from another device. Start ShareIt on your Android device. Tap the “Send” button and select the files you want to send to your PC. The application will allow you to easily jump between your files, classifying them according to type. Choose some test files you want to send to your PC and tap the “Next” button. ShareIt will look for ready-to-receive devices in your neighborhood and will find your PC. Select from amongst the available devices to which you can connect, the name you gave to your PC when first start. If you wish, you can change it on the settings, and with it, you can change parameters such as the folder to use for saves or username and password used in the hotspot creation. On the PC you will be asked whether to accept the connection from the Android device. Once this is done, the two devices will be placed in communication and files will be started from the Android device to the PC. 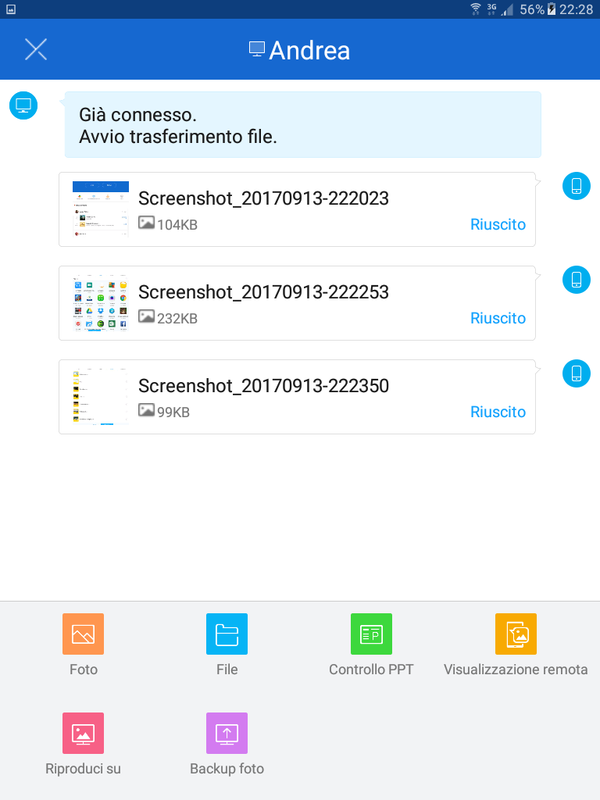 Upon transfer, the app on Android will show the success of sending files. Instead on our PC, we will see the files downloaded in the history. From it we can see their content or view the folder where you have copied. Well we were able to transfer files from Android to PC. For all other cases, the mode is always the same, so you can use it without any problems to connect two devices with any operating system (only those supported). 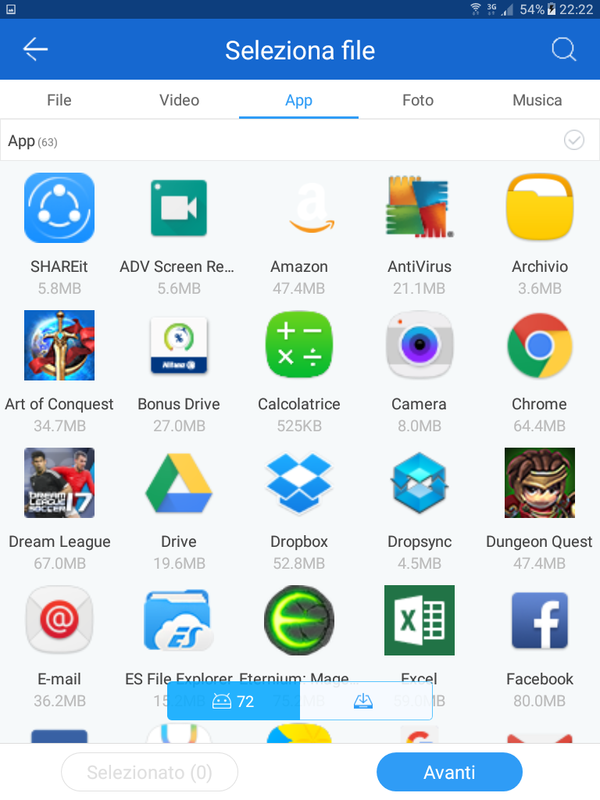 ShareIt is not only an application for file transfer, but it is much more. Returning to the example seen before, after you connect to the PC, you will see a screen similar to this one. In addition to transferring photos and files which we have already discussed, there are many other undoubtedly useful feature. You are a manager or a professor who needs to show the power point in a lecture hall? It will certainly be annoying to get near the handset to move between the slides. With PPT control you can manage your presentation freely through a simple smartphone. If this alone is a good feature, the beautiful one now comes. With remote viewing, you can access the device to which you connect as if it were your own. You can access folders, files, pictures and more and download your device as much as you like. Or you can use the “Play on” mode to see photos and videos on your PC (or other device you’re connected to). If you have a smartphone with a small screen on the one hand and a PC with a 24-inch screen, you’ll certainly know the potential of this feature. Finally, how many times happen to want to preserve their photos taken in the months (or years !!!!) past and would like to avoid select them and send them one by one. Using the “Photo Backup” feature, you can transfer all the contents of your mobile device with one click, and keep them with care. You say, “good strength, I do this with the cloud”. Well in this case the backup will do it on another device such as on your PC. Consider that the cloud space is usually limited, so do your tens of gigs of photos or copy them like that or you’ll have to buy cloud services. The potential of ShareIt does not end with what it has seen so far. The application allows you to share your files in a social environment, with all the features of the case. You can follow or be followed by the traditional followers. By adding videos and photos to share the area, when other users ShareIt will be close, can see and download your files and communicate with you. And remember that this can also be done without using your data connection. Just do not leave it on when others connect to your device, as they may also exploit your connection for any purpose other than to ShareIt. What about this multi platform app. As I mentioned at the beginning of the article, i have used for a long time Share Link, thinking it was a very useful tool. 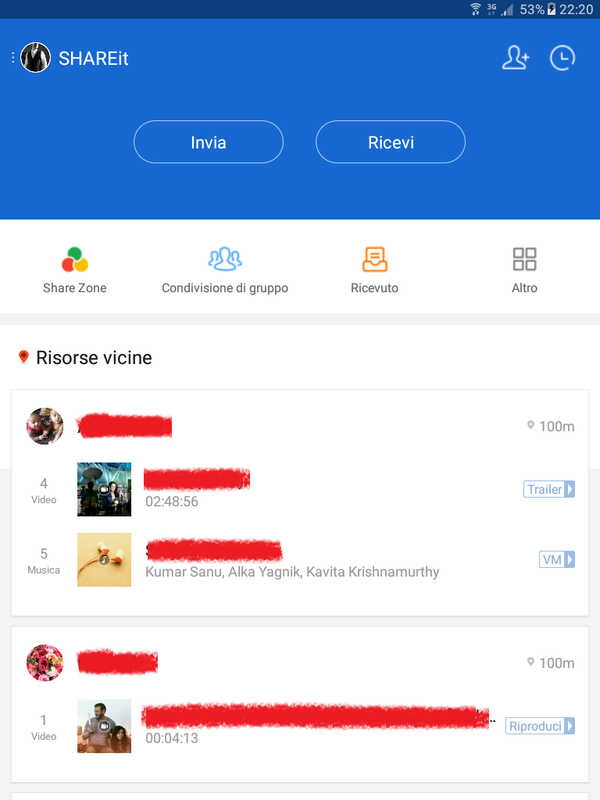 Certainly it is still there, but ShareIt is a much more comprehensive and extensive application that provides really useful features to mobile device users. If you have found the interesting article, share it and let your friends know of this really useful application. Instead, if you’re interested in keeping up to date on my upcoming articles and on the latest news, sign up for my pages and on my YouTube channel. A your like or follow it’s for me the best motivation for maintaining the blog. Hi and to the next time.